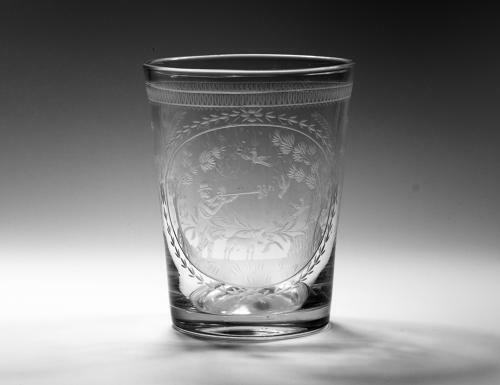 Large tumbler the body engraved shooting scene within a floral cartouche. The reverse engraved initials (believed to be JMT) the side panels profusely engraved with floral sprays and a dog tooth border. English C1800. Condition: Very good with no chips or evidence of restoration. Note: A fine hunting tumbler.